The model home at Frazier Heights features hardwood flooring, white-painted cabinetry and vintage-style lighting. Frazier Heights offers a variety of home plans that have been designed to maximize the views and optimize comfortable living. 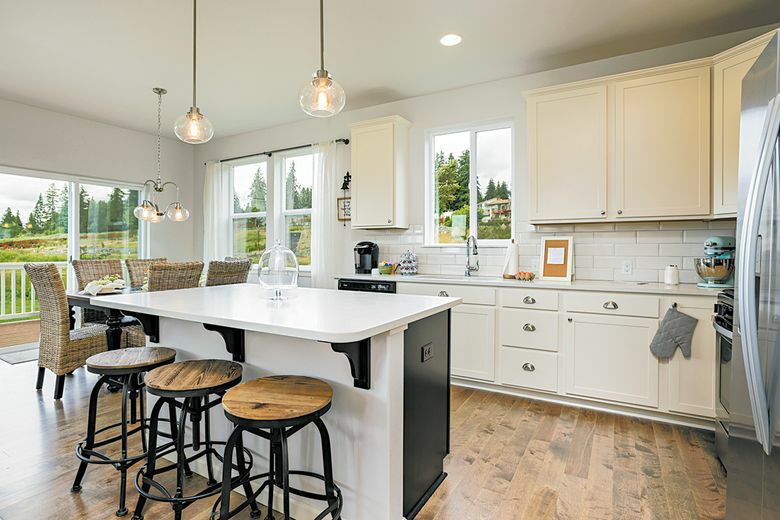 BURLINGTON — Presales are underway at Frazier Heights, a closed-loop neighborhood of 32 homesites that offer pastoral views of the Skagit Valley. A variety of home plans have been designed to maximize the views and optimize comfortable living. They range from 1,846-square-foot single-level homes to traditional two-story layouts with more than 3,000 square feet of living space. Many homes include media rooms and two- to four-car garages. Buyers at Frazier Heights are able to personalize their homes with selections that match their lifestyle and taste. Finishes include hardwood flooring, solid-surface counters in the kitchens, solid-wood cabinetry and fully landscaped yards. “With just 32 homes and the scenic farmland vistas, Frazier Heights feels like the traditional neighborhood of yesteryear, with the modern conveniences of today,” says Kendra Decker, vice president of Landed Gentry Homes and Communities, the builder at Frazier Heights. A variety of home plans are available at Frazier Heights. They have been designed to maximize the views and optimize comfortable living. The model home is complete and open for tours this weekend. It features the builder’s Padilla floor plan, which has 2,469 square feet of living space and a three-car garage. “This model home embodies the popular modern country feel and has been thoughtfully planned out for the way people live today,” Decker says. The layout features a den on the main level, a powder room and an open kitchen, dining and living room. The home features weathered hardwood flooring, white-painted cabinetry and vintage-style lighting. Upstairs, the master suite is designed with shiplap and includes a five-piece bathroom and walk-in closet. There are also three additional bedrooms, a third bathroom and a family room on the upper level. 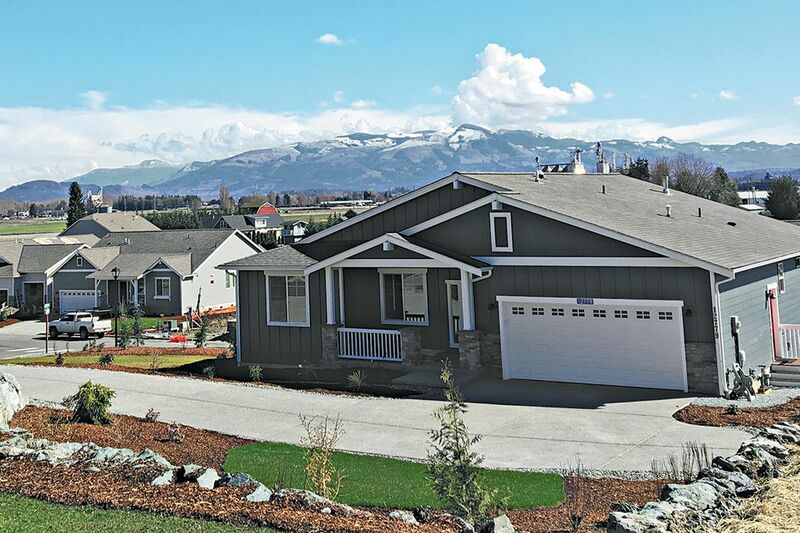 The first homebuyers have begun moving in at Frazier Heights, which is located next to Skagit Golf and Country Club and within the Burlington-Edison School District. 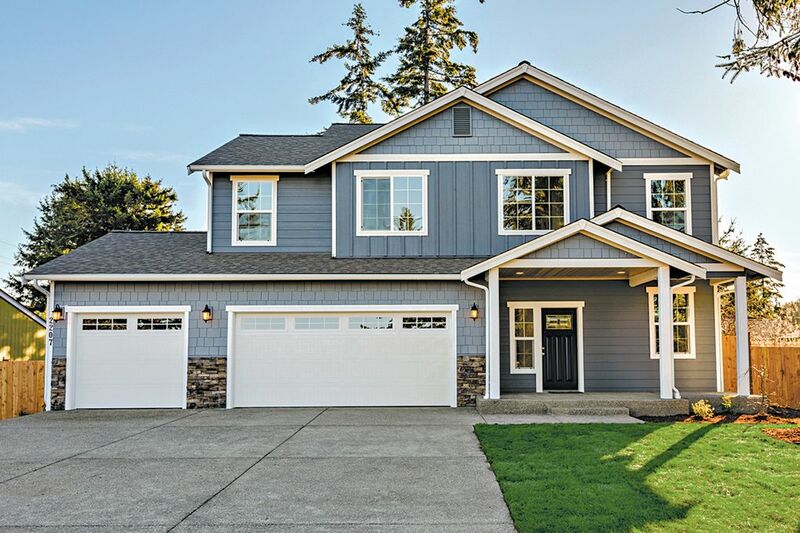 Landed Gentry Homes and Communities is a local family-owned business that has been building homes in the Pacific Northwest since 1979.